Do you know how many people active monthly on Quora? More than 160 million!!! And it’s more than many country populations. But why so popular? 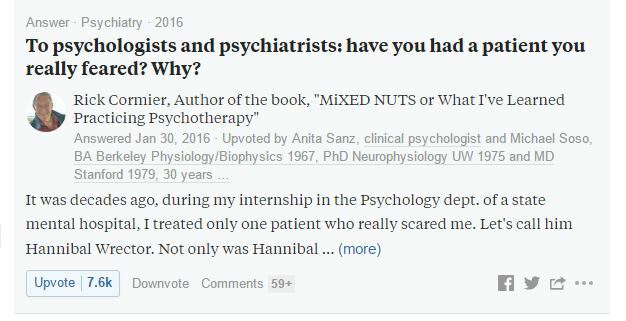 Because Quora connect you to other people from the same niche and provide everything you want to know about. 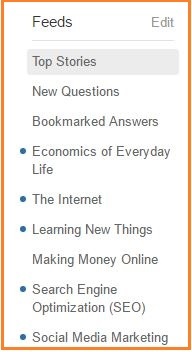 it has more than 500,000 topics updated till now. Hopefully, you would understand value of Quora from above stats and now ready to get more and more traffic to your blog from Quora. I am a big fan of quora and use this platform to get target traffic on my blog. So here we are giving you few practical tips of driving traffic from Quora.com but before start let know why to prefer Quora. Just click your name at upper right side and then tap on profile. quora allow you to option to setup your tagline, your areas of interest, and a short bio. This all information represent you on Quora so it is better to provide all relevant and complete information about you. Here you can mention your website name to get traffic. Every question in Quora get significant amount of traffic and if your answer is famous and have sufficient amount of view then your answer will get ranked by all major search engines as well. So you will get traffic indirectly from search engine also. But do remember to Don’t overuse it! otherwise people will switch to other answer. You can provide appropriate answer to question related to your niche and then at end of your answer you can mention your blog link. So chance to get visit from people who view and upvote your answer. 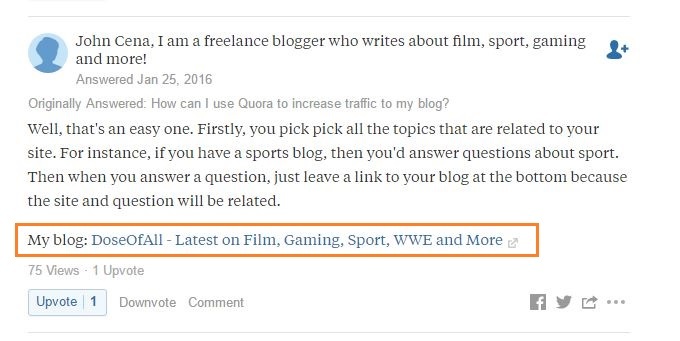 Do remember you will easily get target user from Quora if you write answer of your niche question. You can also go inside the feed and look for questions. If you are writing answer on niche topic then your answer will be more informative and all viewer of your answer will be your target customer. You can also directly search your keyword in Quora or Alternatively, you can ask a question/start the discussion yourself. If you search any popular question in Quora then you will find that hundreds of people has already given answer on them so don’t write answer on such question otherwise your answer will be disappear in crowd and no one view your answer. Those threads will have a lot of views & followers that of course converts to amount of visits your website can get. So better to choose those question which have high number of follower and less answers. So chance of your answer view will be more. You know why I am saying here be the first? More than 70% of people read your answer if your answer at top position and viewer will decrease with position change..So Make sure your answer stay on top. But make sure to write some interesting answer like any case study, any real things happen with you or any information with some statistics. Hope you like this post and Follow all above tips…Good luck. Quora can be one of your top traffic channels!